Barcas LLC is known for its depth of industry experience, from crude oil storage and related services to the drilling and production segments. 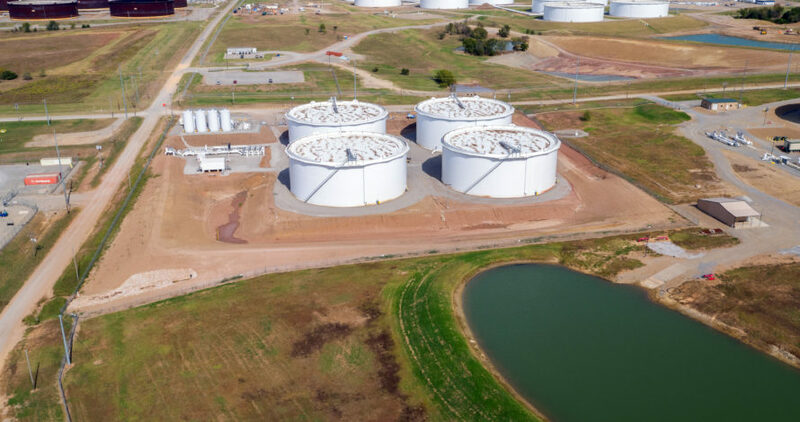 Barcas Pipeline Ventures LLC constructed and operated a 4,250,000 barrel, 70-acre tank farm at Cushing, Oklahoma in partnership with Magellan Crude Oil. 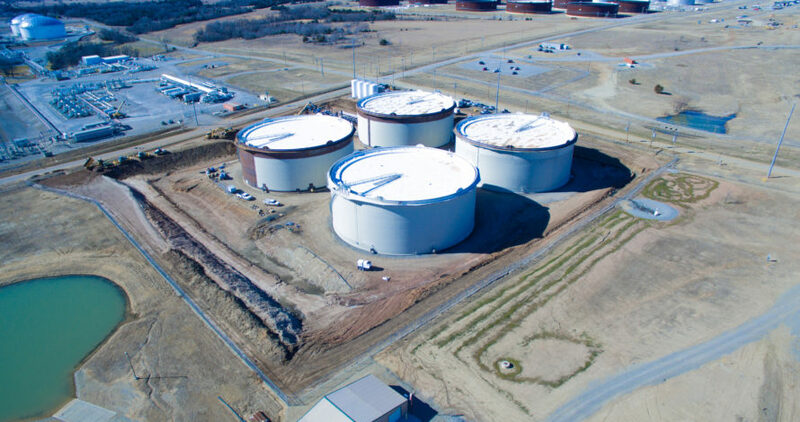 After selling the facility to Magellan in 2011, we established a truck loading/unloading and crude storage facility on an adjacent 10-acre Cushing property. Since then, Barcas and its subsidiaries have successfully engaged in creating a 160-truck operation with multiple warehouses to support trucking and other operations as well as two rail facilities to transport crude for customers in Oklahoma, Texas, Colorado, Kansas and New Mexico. We also provide drilling fluids, (Barcas Native Drilling Fluids), and water services, (Barcas Water Services) to the industry in Oklahoma, Kansas and Texas. 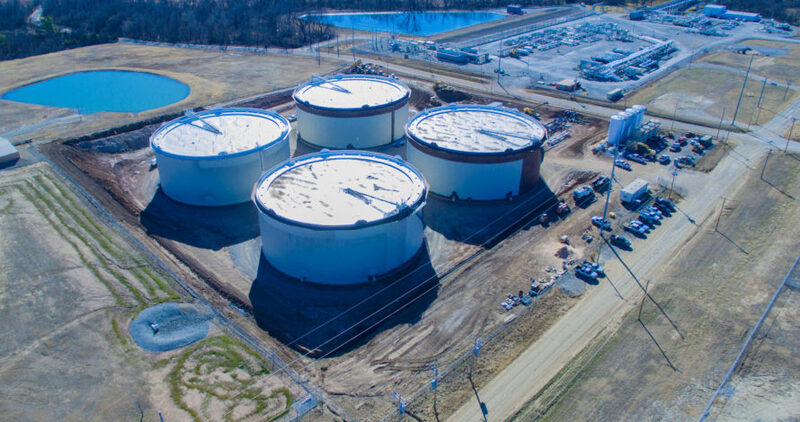 Barcas Pipeline Ventures LLC is currently constructing a 700,000-barrel tank storage facility on our 10-acre property and expect completion in December 2015. With our knowledge, operational experience and dedicated service capability, Barcas is the ideal partner for your crude oil storage needs. Click and drag the image to the right to explore the 700,000 barrel Barcas Pipeline Ventures 3D rendering. 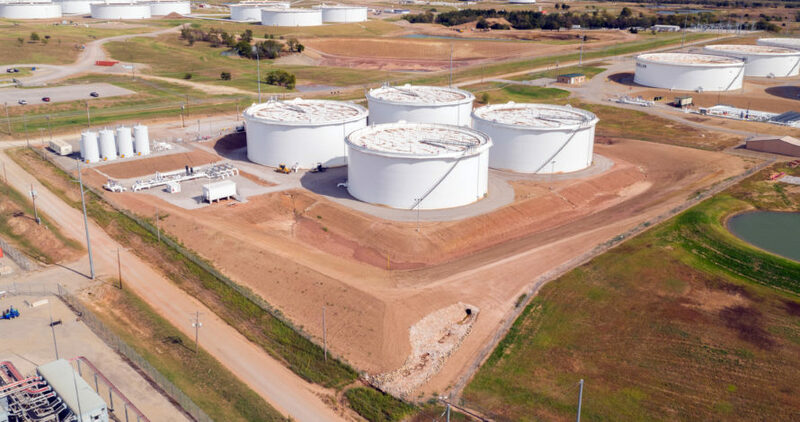 Acquired 80 acres in Cushing, Oklahoma for the purpose of building a crude oil storage facility. 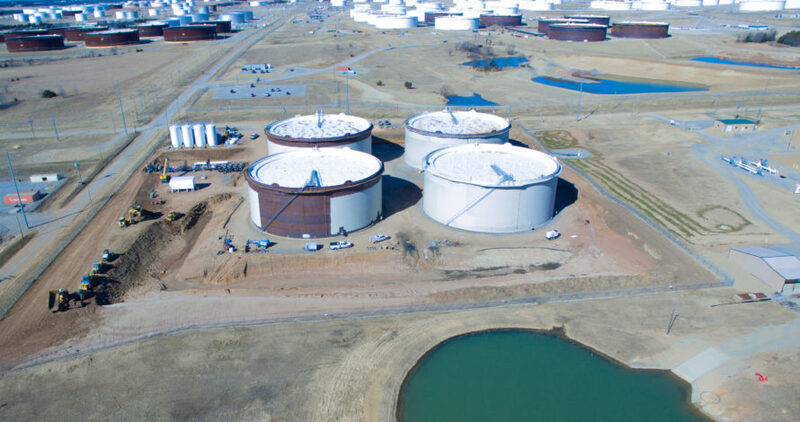 BARCAS Pipeline Ventures, LLC, built 4,250,000 barrels of storage at Cushing Oklahoma in 2010 in a partnership with Magellan Crude Oil. 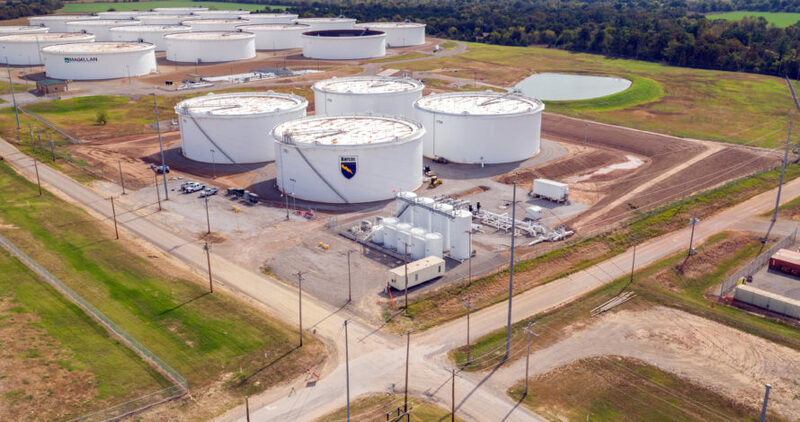 Barcas sold the Cushing Facility to Magellan Crude Oil, MCO, and retained 10 acres in the North West Corner of the property for Truck loading and unloading facilities. Barcas Field Services, LLC began trucking operations of crude oil in Oklahoma, Texas, and Kansas with 30 tractor trailer units. Barcas LLC builds or purchases 4 warehouses and offices to support trucking business. Dumas, TX/Alva, OK/ Enid, OK/& Victoria, TX. Barcas Field Services, LLC grows trucking business to 110 Tractor trailer units for hauling crude oil in Oklahoma, Texas, Kansas, Colorado, Wyoming, North Dakota, New Mexico, and Louisiana. BFS operated another 50 leased trucks within our fleet to bring our total trucks moving crude to 160 units. BFS operated two rail facilities for customers in Oklahoma and New Mexico. Barcas Field Services, LLC sells all trucking operations to Rose Rock Midstream in September of 2013. Barcas LLC sells two warehouse/offices to Rose Rock Midstream, Victoria, Tx & Dumas, Tx. Barcas Pipeline Ventures, LLC, begins construction of 700,000 barrels of crude oil storage on our 10 acres in Cushing, Ok. 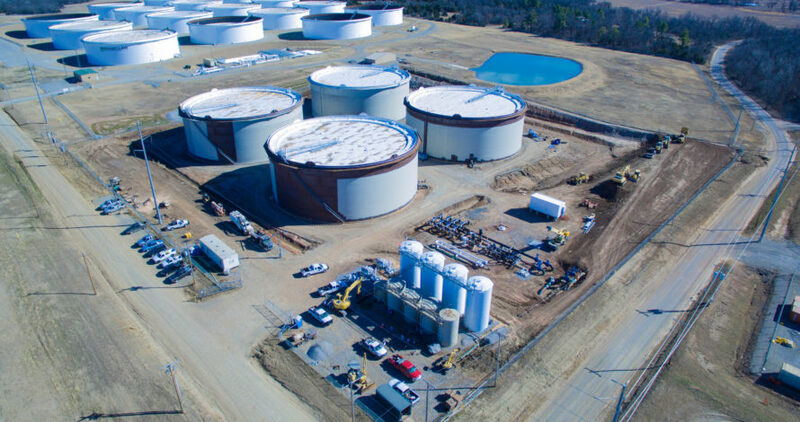 In April, with completion of all tanks by December 2015. Barcas LLC is known for its experience in crude oil storage and related services to the drilling and production segments of the oil industry. 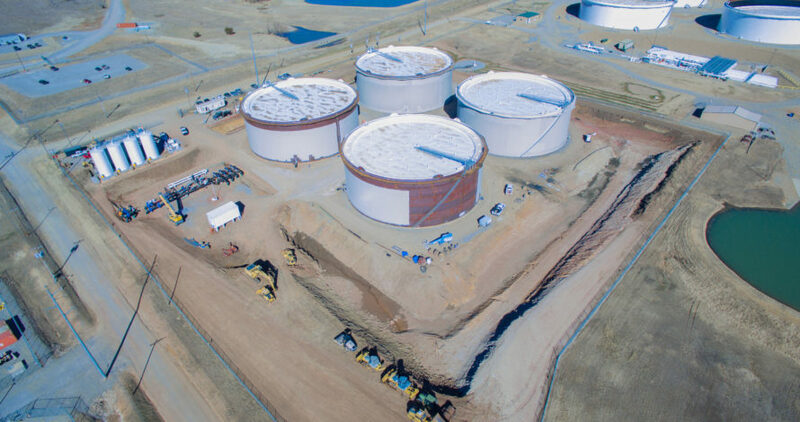 Our Barcas Pipeline Ventures LLC constructed and operated a 4,250,000 barrel, 70-acre tank farm at Cushing, Oklahoma in partnership with Magellan Crude Oil. 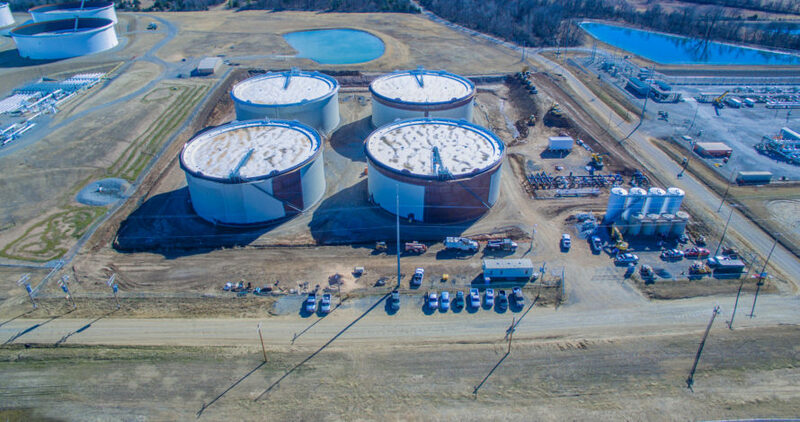 Barcas Pipeline Ventures LLC is currently erecting a 700,000 barrel tank storage facility on our 10-acre property with expected completion in December 2015. With our knowledge, operational experience and dedicated service capability, Barcas is the perfect partner for your crude oil gathering and marketing efforts. © 2019 BARCAS PIPELINE VENTURES. All Rights Reserved.